How to Transfer to Another US University? Enrolling in one of the US universities, international students for various reasons think about the possibility to transfer to another educational institution of the country. It turns out that this is quite possible. This practice in the US is widely used and allows for different options to change the place of study. You can switch one state university to another (the same or another state), from private to state and vice versa, and even from Community College to a university. This procedure is feasible at all stages of training: bachelor’s, master’s and postgraduate courses. When you can change university? In most cases, transfer to another university is possible after the end of the first semester. Because an American visa is issued to a student, so to speak, for a particular institution of higher learning. That is, the educational institution that accepted the student sends on his behalf confirmation of enrollment and the I-20 form, by which a student visa is issued. Therefore, the student’s education and, accordingly, the payment for at least one semester – in the interests of the university. Secondly, many universities for transferring students establish an “input” minimum for loans (points) that are earned during the first and sometimes the second semester. Thirdly, as a rule, there is too little time between the student’s arrival in the country and the start of studies. A transfer should be done before the beginning of the classes in both universities. However, the opportunity to change Alma Mater at the very beginning of the training path is also there. In some universities, the condition of the “first semester” is not mandatory, but recommendatory. In any case, everything depends on the internal policy of both the present university and the chosen one. It is vital that a new institution be ready to accept a transfered student before the start of the school year. Despite some differences in each case, several mandatory and general conditions can be distinguished. The student must be admitted to the college from which he wants to transfer (in case the student is moved before the beginning of the first semester of the first year of study). A valid completed form I-20, issued by a new selected educational institution, in which the student wants to go. The form is released when the student is already enrolled, and information about his transition is listed in the SEVIS database. If the college does not issue this form, it means that it does not have the right to receive international students and it is impossible to transfer here. Valid student visa F-1 and migration card (Form I-94), confirming that the student is already in the United States. Acknowledgment from the accepted university. The absence of debts for payment of all fees and commissions at the university, from which the student wishes to transfer. Permission from the dean of the faculty (head of the course, department), where the current university studies (or is enrolled). The policy of both students is allowed by the policies of both universities. Both high schools should be accredited. The transfer must take place before the beginning of the course at the host institution. Where to switch a university? The first thing to do is to consult an employee of the current educational institution responsible for working with international students – the International Student Advisor and the Academic Advisor (responsible for working with students in general, both for the academic and for the social part). They will be able to give reliable information about the switching programs provided by the university. 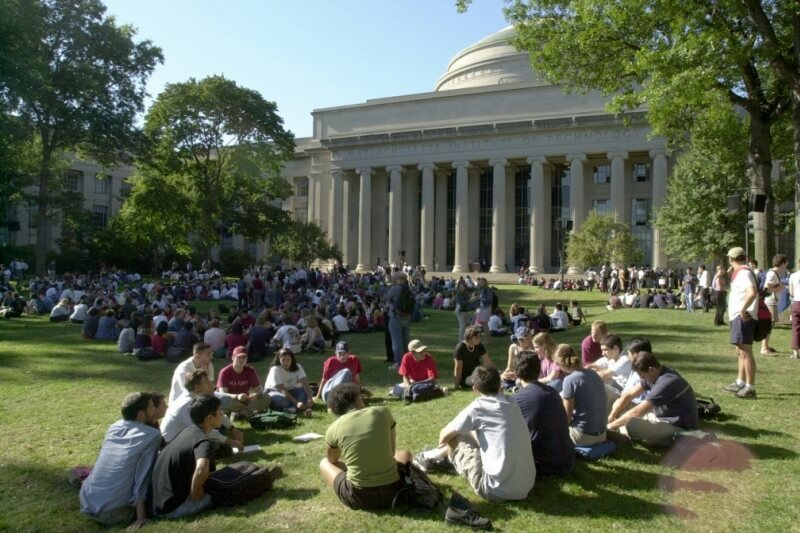 Some US universities have individual agreements with other educational institutions of the country, the list of which can be given by the university staff. It is also worthwhile to clarify the terms and conditions of the transition and, what is more important, the maximum number of credits for the passed courses in the current university, which can be transferred to the new one. The next step is to consult with the International Student Advisor of the new university, to file an application, to collect and prepare the necessary documents. Bank documents are confirming the ability to pay for tuition and living expenses. Particular attention should be paid to the procedure for changing the student’s status record in the SEVIS system. All data of international students and trainees arriving in the US for training or cultural exchange are recorded in a special database SEVIS (Student and Exchange Visitor Information System). If a student is already enrolled in an institution of higher learning, the system will include information on the type of his visa, the length of stay in the country, the date of entry, the name of the institution, and so on. When moving to another educational institution of International Student Advisor, the current place of study makes changes to the program: the name of the school, its address, date of transfer and so on. Then the updated information in this database is transferred to the new university, which, in turn, must confirm it. It would seem that everything is simple. But the danger lies in the fact that there is a risk that the data will not be entered correctly or, even worse, completely removed. In this case, the student loses his legal status (listed as out of status), which is difficult to restore. It will be necessary to recollect all the documents, from the passport to the bank statements, submit them to the appropriate authorities and wait for 2-3 months, staying in the country illegally. Often in such cases, failed students have to leave the US. Some scholarship programs for international students allow their conditions and can be redirected to the chosen institution. But the terms, procedure, necessary documents for this can be different in each case. It is possible that the fund, which issued the scholarship, has agreements with some educational institutions of the country, for the training in which this financial aid is distributed. Consult the International Student Advisor of the host college; you can find out about its funding programs and scholarships available for transfer students. For example, such scholarships are awarded by The University of New Mexico.